• Include a salutation depending on your relationship with the recipient. "Dear Aunt Lori" for a closer relationship, or "Dear Mrs. Lori Smith" for one that is more formal. • Indent your first paragraph just like you would for a paper. 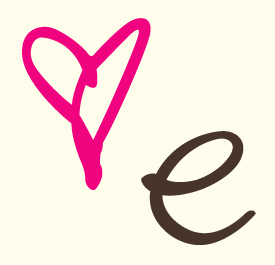 • Use a closing such as "Sincerely," "Love," or "Warmest Regards" followed by your signature. 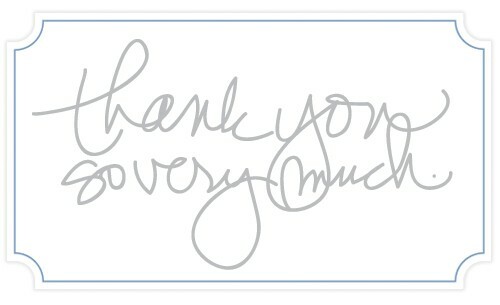 • Always hand write your thank-you note (emails are tacky). • Get your note in the mail as soon as possible! • Treat money and gift cards like any other gift. If you know what you will be purchasing with the money include that in your note. Never indicate the specific amount you received. • Not just when you receive money but with any gift explain how you plan to use it. "This candle will look great on my end table"
• Don't just say, "Thank you for the gift." Be personal say, "I can't believe you were able to find a jewelry box I had been looking all over for one." • Reiterate your gratitude again at the end of your note. • Never put fewer than three sentences. • Remember it's the thought that counts! Even if you do not like the gift write a note! • Buy stationary. 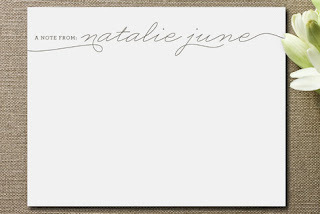 Cards with complementary envelopes look much better than folded notebook paper stuffed in a plain envelope. Do you write thank-you notes? Do you have any tips to share? GREAT TIPS!!!! Thank you! I'm planning on writing my thank you notes today, so this has come in handy for sure! I always write thank you notes. I'm glad I'm not the only one. I'm shocked that you never received a thank you note for a wedding gift! I can't even imagine. I bought lots of beautiful and fun stationary that I love having an excuse to use, so the thank you notes tend to be super prompt! I love this post! My mom was the same way, we always wrote thank you notes. I love going out and getting fancy stationary. I used to have stationary with my monogram on it! I need to get more of that! Hope your week is going well! Almost Friday! Yes! I totally agree. I write thank you notes for EVERYTHING! Even for cards that I receive. I'm kind of really big into SAYING thank you, so I make sure to hand write thank you notes for every item I receive. Hope you had a wonderful holiday! I don't know why but it erks me when people don't send thank you's! I try to get mine out asap. Great post! Writing thank you notes as we speak! Thanks for the great reminders! 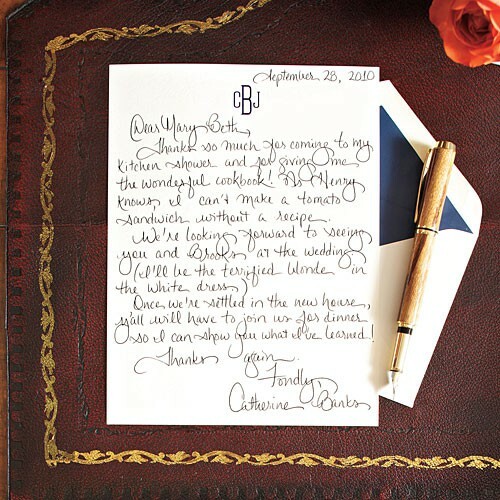 After I got married, I had to re-learn so much about writing thank-you notes. It made me feel so great to write them all out though because it reminded me once again of how many people had thought about my husband and I and wanted to bless us with a gift. I loved writing my thank-you notes and I thought it was the least I could do after what they did for us. lovely tips! I love writing and receiving thank you cards! What great tips! I always write thank yous (my mom also taught me this) but I often don't write more than three lines. Have to work on that. Thanks! I'm in the process of writing my thank-you cards now! thank you cards are a lost art. I always forget to write mine out although I did do it for my wedding. I'm the same way. I really believe in always writing thank you notes. These are great tips! I ♥ this! Thanks so much. I don't send thank you's very much, and I really should. These tips are very helpful. My mom taught me the same thing. Always send out thank you notes. Not only does it confirm that you received the gift but it shows you truly care and appreciate it. Great tips, it's difficult to know what to put sometimes. Thanks for the ideas! Agree, agree, agree!! Thank you notes are so important! What a great post! And I hit all those tips, so I'm good to go! Finished mine today! Glad to have them mailed off and out of he way! Love this post! I think that sending thank you notes is becoming a lost art! I still take the time to sit down and right one. So many people don't send thank yous anymore. I was taught the importance of thank you cards at a very young age. It's the right thing to do, and classy at that!